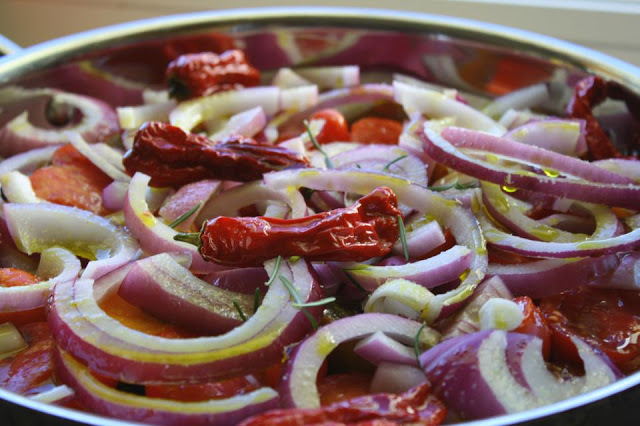 Adjust rack to middle of oven, and preheat to 300 F.
In a medium roasting pan (9"x13") or a 12" oven safe skillet, combine the tomatoes, onion, bell pepper, garlic and rosemary. Whisk the wine, balsamic vinegar, and olive oil together, drizzle over the vegetables and toss to combine. Season with salt and pepper.